If you’re looking for a sharp, clean look with modern lines and striking contrasts you can’t go past 75×16 aluminium slat fencing. 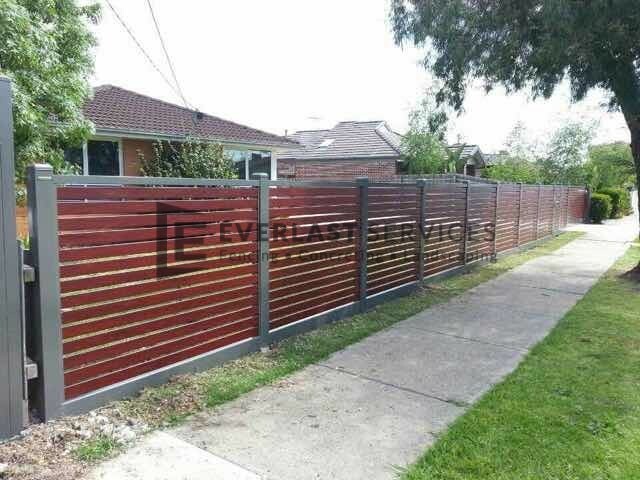 The best part about this beautiful material is that it is affordable and durable meaning it is the perfect investment for anyone that needs a fencing option for their property. Aluminium slat fence panels offer incredible variety in the looks you can create. They can be made to look like wood for those looking for something earthy and rustic or kept in their natural steel for those looking to create a modern look. You have complete freedom over the spacing in between the slats and they can be installed horizontally or vertically depending on your space and design choices. Why Use 75×16 Slats For Your Fencing Needs? Unlike wooden products 75×16 slats don’t require any maintenance. You don’t have to stain them once a year or treat them, all they need is a quick hose down to remove any dirt and they’ll look perfect for decades. They’re built for the temperamental Melbourne climate. They won’t suffer during the long, hot summers and they won’t rot during the wet, frosty winters. No splintering or cracking just all the durability of aluminium to give you a long-lasting fencing option. They look incredible with any aesthetic. Whether you’ve got red-brick render, weatherboard or stone frontage you’ll be able to find a way to use our 75×16 aluminium slats to create the perfect fence. 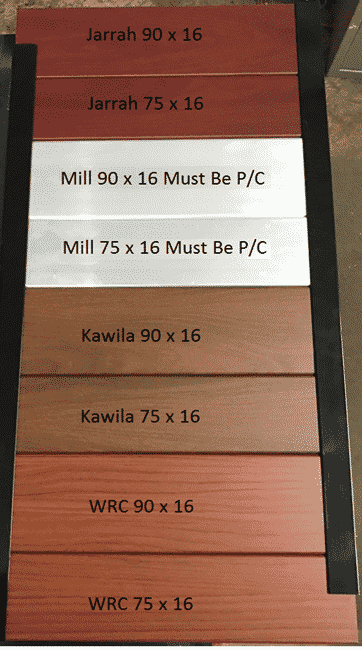 We stock a range of aluminium slat sizes, in addition to our 75×16 slats, our 90×16 aluminium slats have also proven very popular with our customers. The great thing about our 75×16 slat is that their wide enough to provide the security and privacy you need from a fence while not being so wide that they look chunky. We like to mix the 75×16 slats with bricked sections of fencing to create a unique look and really increase your curb side appeal. We have our own manufacturing plant in Hoppers Crossing. This allows us to manufacture all of our 75×16 slats and maintain strict codes of quality throughout the entire process. We back the quality of our slats and guarantee that they’ll last through rain, hail and shine for years to come. Manufacturing our own slats also allows us to save a lot of money by cutting out the middle man. We always pass these savings onto our customers to ensure we meet our aim of making our product available to as many people as possible. We’ve been involved in fencing and steel manufacturing for over 20 years. We know how to build beautiful fences and we know how to use our quality materials to provide you with the perfect fencing solution. We love building fences but we also love providing customers with fencing supplies and expert advice so they can complete their own fencing project. We’re always on hand if you have any questions and when we purchase through Everlast Service you know you’re getting the best. We also offer concreting, landscaping and decking services all with the same commitment to quality and affordability.